The Supreme Court has given an excellent ruling on the gazette draft 19th Amendment to the Constitution. But I fear there is some danger that its verdict might be subverted, and it is essential that Parliament be vigilant. It may also be necessary to seek clarification as possible from the Court. Its intentions may be perverted, because it very properly looked essentially at the Amendment as gazetted. There may be claims however that it also considered the amendments that were smuggled in as it were into its deliberations. But it has not ruled on these. With regard to the text before it, it was categorical in rejecting efforts to transfer the power of the President to the Prime Minister. 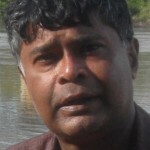 The clauses it has dealt with clearly were what Jayampathy Wickremaratne had claimed were included through human error. These were the changes to the Chapter on The Executive, Chapter VIII, which made the Prime Minister the head of the Cabinet of Ministers and allowed him to determine the number of Ministers and the assignment of subjects and functions. The meeting of Party Leaders, held on March 15th, had agreed that the attempt to make the President act only on the advice of the Prime Minister (through a new 33A) be rejected. That section in the original draft was removed, and one would have assumed that the changes to Chapter VIII also would have gone. But Jayampathy described these as consequential provisions which he did not bother to check. He did say, in admitting the error, that they would be removed, but instead what we found was that 33A was brought back in the amendments he subsequently gave to the Supreme Court. The Supreme Court was not required to look into these, and it did not do so in its judgment, except to refer to an amendment that it thought would satisfy objections raised to one of the provisions in the gazette. The smuggled in 33A subverts this principle, but I suspect Ranil will try to claim that it has been approved by the Court. Certainly so substantial an amendment, which clearly transfers a power attributed to one organ of government to another, cannot come in siply as an amendment. But Ranil will try to skate over this, and how he will do this was apparent from his claim that this virtual usurpation of powers will not apply to the currently elected President. But that was not accurate, since the gazette draft makes clear that the President loses much authority after the next General Election. The country cannot leave such important issues to the subterfuges Ranil will employ. I hope it will be possible for the matter to be canvassed in the Court, which should be asked to rule on whether the smuggled in 33A can be passed without a referendum. The wording of the judgment, as quoted above, makes clear that there can be no such derogation of power. But it may be best to get a clear ruling from the Court if possible, otherwise the Amendment may well be smuggled in to Parliament. It was agreed at the meeting to decide on when the Bill would be taken up that only the gazetted version could be voted on at the 2nd reading, which is standard practice. I suspect there will be a lot of amendments, including my own, which will try to introduce specific Cabinet portfolios. But it will be necessary to discuss these at length, and also to disallow anything that contradicts the very clear opinion of the Court regarding the continuing Executive authority of the President. I trust the Speaker will receive legal advice to this effect, consulting the Court if necessary, and rule out of order any amendments that go against the clear ruling of the Court. Can he write about GREEK STORIES told by army officers to shivering Tamil Girls??? A disgrace with a mask of Professor…. Rajiva’s think is crewed and quality of the analysis is sad. Can anybody tell me please what this Rajeeva has done to this nation ? He is an educated idiot not being able to get on with people easily. It is high time to see his over grown nose hairs rather than making any efforts to attack the ruling people that would do anything to introduce good systems to the system. I think any academic would have to agree with 19A. These men did not oppose 18A thought that eroded all the rights that peopple enjoyed before. His Buddy DJ could save the country in 2009, but this man is given a chance to do his best by the current rulers, but his inablitiy was proved. I myself questioned the manner he attacked former UGC chair person Prof. … in that press conference. Satana jouanlists questioned why the Rajeeva to treat the Woman chairperson in that way…. even if her appointment was biased. What is the problem with all these Prof title holders in politics ? GLP was caricatured by MR..
Prof. Rajiva W could not sense it … in stead of doing his best. He should learn it at least from Deputy Ministers that work hard to achieve the best.. The bloke has actually and truly gone mad, he needs all kinds of help including psychiatric attention. We are witnessing a sensible professor going wonky. Its sincerely advised he does something corrective before he becomes a nutty professor. You are right Abu. This guy needs to stand on his head so that some blood will circulate into his brain. On second thought, he has all the qualities of a hypocrite. It is his nature either backing his buddy the most mad man -Dayan Jayathilaka or just use the lip service but doing nothing. He is Mr Perfect but has not the least patience when getting on with people. How can then he be part of lanken politics ? Easy to sit on the fence and criticize both sides. Firstly to hang on MR’s sataka and then leap frog and now undecided? Do something and produce results if you want to earn the respect of the public. What Rajiva is saying is correct. A very small man with an attitude problem. The cheap gimmickry of this man, and the attention he is trying to draw upon himself through the media, tells us of a very small ego driven man, who, despite his qualifications is not truly ‘educated’ and definitely not wise. Wisdom comes with age, maturity, patience and endurance. Apart from age, on all other counts this man fails. Having reasonable doubt suddenly arise of Supreme Court functions and its imparcility and credibility has lost after Mathiripala Sirisena came to power in 2015 January 9th. The act of MS has lost credibility of Supreme Court lead to his evil intention of undermine Rule of Law of Sri lanka. MS has proven and committed crime after his deeds, that remove Mohan Peiris of CJ by Presidential decree! Unconstitutional manner. MS has rule of out that totally ‘Rule of Law’ of Island and basically discard accepted legal frame work of Sri lanka legal Institutions & its traditions; by misusing Presendintal power and authoritarian rule of MS, which his uneducated pack of no-knowledge of Democratic Constitutions of Republic, leads to undermine Rule of law of Land last few months. Nation become lawless country, democracy functions of enforcement authority become powerless and People become voiceless, that is new reality of tragedy of legal system of Supreme court, we have been witness by after MS resume authoritarian power back by Indian RAW. Democratic cannot be properly functions such environment or having no debate or deliberation or consensus democratic base not prevailing in Sri lanka time being under authoritarian rule of gang of three led by MS, UNP-Ranil. W…and CBK. This not the that suitable time to change or reform of Republic Constitutional take place for changes by few vested interest of Indian BJP’s political agenda pressure by Indian RAW, US and UK. That is result of interfere internal affairs of Sri lanka, for mainly eradication of the Sovereignty of People democratic Rights by foreign powerful Hands and local agents of MS, UNP-Ranil.W.. and CBK clique. Hand off Change or Reform of Republic Constitution of Sri lanka by influence of Indian RAW of BJP- RSS new political agenda! Its leads to political chaos to be encourage anti-secular, anti- democracy and undermine National Democratic of struggle and Nation Sovereignty of an Island by MS led authoritarian rule of leads Lumpenzation of Democratic . This is what Liberals have got a bad reputation for doing…sit on the fence , criticize everything and do nothing ! Why do we bother to even read this rubbish ?!! Seriously you should read the book ‘art of the possible’ as advised by Ranil. See all the feedback to you here. Rajiv’s thinking is excellent. Apparently mostly UNP supporters read the Colombo Telegraph, so be it, so don’t expect them to agree with him. These are serious allegations against Ranil W. Perhaps he spend too much time under the tutelage of his uncle JRJ? I think RW is perfectly capable of running the country. However if the Dekoti Janathava does not agree with this, if he is not popular, that is Democracy. Live with it. But there must be no violence. We have had enough violence in this country. I would like to see a non-violent pact among ministers – whoever is found using violence or if their subordinate is engaged in violence and it is proven, they are suspended as MP. Hey Rajiva, Did not Ranil hit you with a book and asked you to do some reading? so is this now your scholarly comeback? This professor is a lost case and may be his last few days in the parliament as none of the parties will nominate him in the national list nor will he get elected through ballot. “It takes a thief to catch a thief”, so good luck – as long as we will not be stuck with another bunch of thieves and all you guys with ulterior motives will be exposed and dealt with suitably. A learned man like you must not just be critical. As a citizen you have every right to take up the matters related to article 3 & 4 , and 33A with the SC. It is no point suspecting how Ranil will interpret them. Also don’t undermine the independence of the SC with your analysis of this kind. 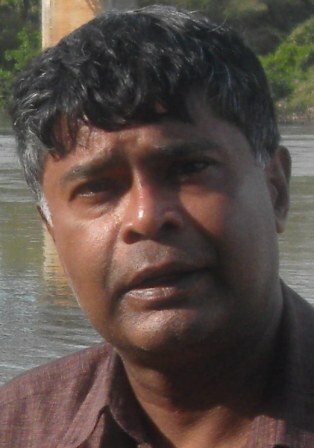 You together with colleagues who are supportive of you in the parliament MUST PUT COUNTRY’S INTEREST before the animosity between you and the following : Ranil, Chandrika, Champika , Anura Kumara, Mahinda or Martini, Ven Rathna and Sobitha Theros and TNA leaders. It is 67 years since the independence in 1948. Still all the parties can not get together and resolve the constitutional issues on a permanent basis. Absolutely, Rajiva’s worth is not recognized in Sri Lanka as said by Doosra above. Rajiva had no qualms when the 18th was passed for MR to be a Dictator. When Ranil is trying to dilute the Dictatorial powers vested with the President and revert it to the Parliament he has qualms. What brilliant Academics? Doosra we will bear the shame, please let any other country gain his worth at our gain. Thanks! His is just to attack RW because of few reasons. 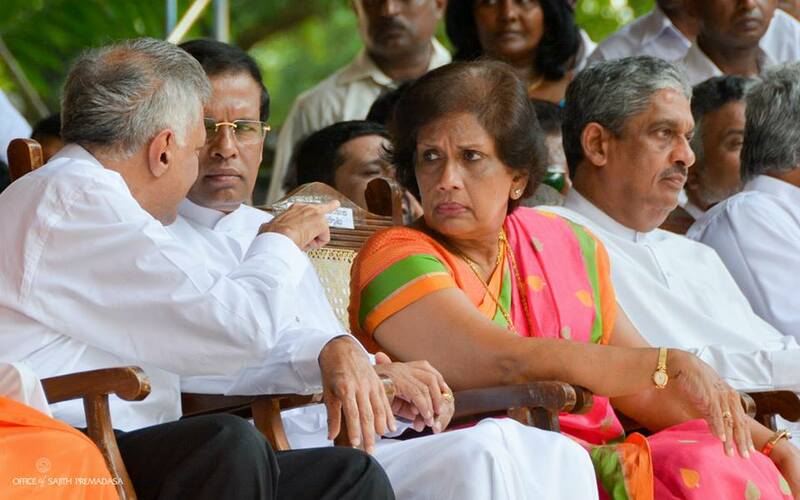 This man did not like Ranil as DJ does it. So for him no mattter 19Amd or any other things, but to oppose anything that brings to the parliament under his lead. if born in England I have no doubt Professor Rajiva is the current day Prime Minister of that country. By reading the above comments -I say, we Sri Lankans are poor – we simply do not understand the brilliance of his mind and high intellectual thinking. Are we still living in 20th century and Prof Rajiva in 21st? Are you anyone of Harold Wilson’s? to propose Rajiv as a person fit enough to be the PM of England? Shucks! what a shame that this bugger Rajiva did not have British blood and save the day for us Sri Lankns.